NavyRecognition provides some information on what India is doing to maintain Maritime Domain Awareness. Since the 2008 terrorist attack on Mumbai, they have made a strong effort to monitor marine traffic. An earlier discussion and links to related topics here. The Center for International Maritime Security (CIMSEC) is an organization I strongly support and they are asking for volunteers to help. I am providing a copy of their request below. Want to get more involved with CIMSEC? We are welcoming volunteers to help out in areas from membership, social media, article editing, website technical support, podcast production, and more. Our organization is understanding enough to be flexible with geographic disparity and busy day jobs. So if you want to join as a volunteer and help grow this community, please email us at membership@CIMSEC.org by May 8. Michael Madrid is CIMSEC’s Director of Membership. Contact him at Membership@cimsec.org. They are building LNG tankers capable of operating year round in the Arctic. They are also apparently considering the possibility of using a central Arctic Sea Route, allowing them to be free of dependence on the Russians. An artist’s rendering of VT Halter Marine’s winning bid for the U.S. Coast Guard Polar Security Cutter. VT Halter Marine image. US Naval Institute News Service reports that the first Polar Security Cutter (Heavy Icebreaker) contract has been awarded to VT Halter, and it is notably cheaper than initial estimates. Cost is actually not a lot more than for a National Security Cutter. The contract includes options for two additional ships, if all options are exercised total contract would be $1.9B. 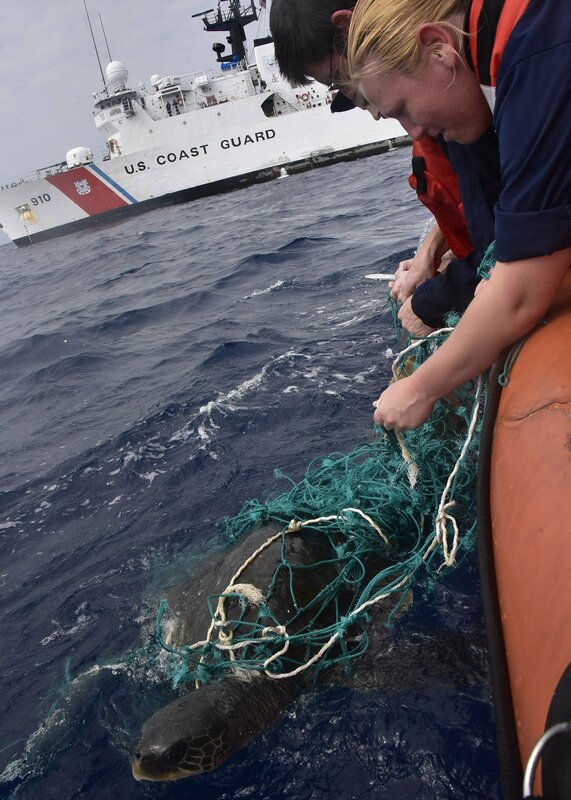 The US Naval Institute reports on the Activities of USCGC Thetis in support of AFRICOM, including Exercise Obangame Express 2019. I suspect she participated in Exercise Phoenix Express 2019 as well, but I don’t see any confirmation of that. 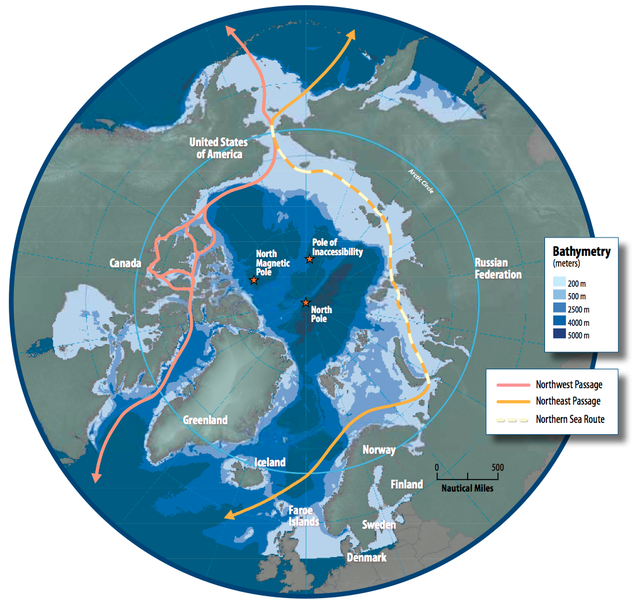 WASHINGTON – The U.S. Coast Guard, today released its newest strategy to address its expanding role in the Polar Regions. As the Arctic region continues to open, and strategic competition drives more actors to look to the Arctic for economic and geopolitical advantages, the demand for Coast Guard leadership and presence will continue to grow. As the Nation’s primary maritime presence in the Polar Regions, the Coast Guard advances national interests through a unique blend of polar operational capability, regulatory authority, and international leadership across the full spectrum of maritime governance. The Coast Guard will continue to work with our allies and partners on the mutual goal of ensuring a safe, secure, and cooperative Arctic, even as our aspiring near-peer competitors maneuver for strategic advantage in the area. “The Arctic Strategic Outlook reaffirms the Coast Guard’s commitment to American leadership in the region through partnership, unity of effort, and continuous innovation. We understand the significant investment required to secure the Arctic, and we appreciate and embrace the trust the American people have placed in the U.S. Coast Guard. 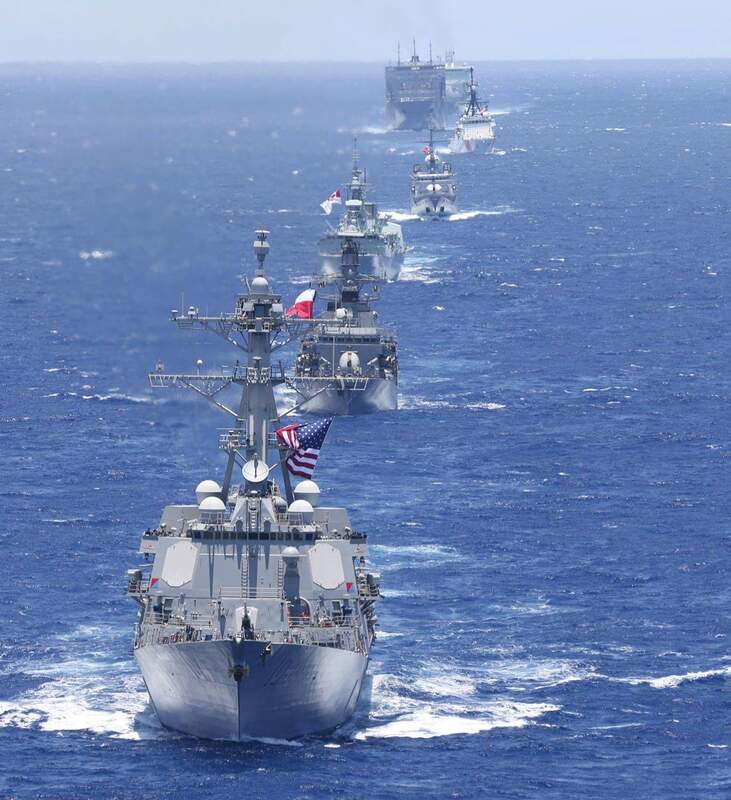 We will remain vigilant in protecting our national interests in the Polar Regions,” said Admiral Karl L. Schultz, Commandant of the U.S. Coast Guard. 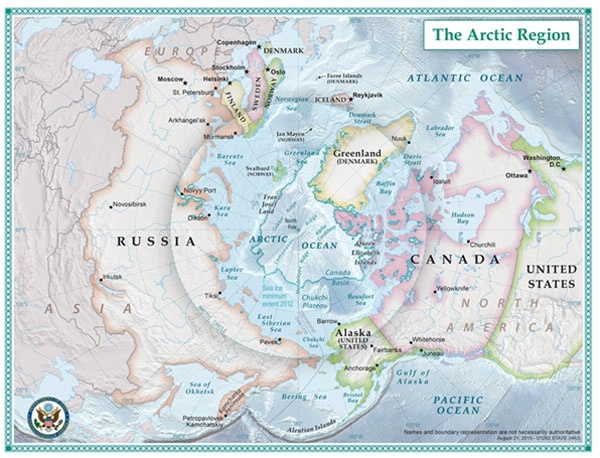 Since the release of the Coast Guard Arctic Strategy in 2013, the resurgence of nation-state competition has coincided with dramatic changes in the physical environment of the Arctic, which has elevated the region’s prominence as a strategically competitive space. The United States is an Arctic Nation, and the U.S. Coast Guard has served as the lead federal agency for homeland security, safety, and environmental stewardship in the Arctic region for more than 150 years. Click here to see the full strategic outlook. Below is the ALCOAST on the same subject. sovereignty and deliver mission excellence. cooperate with partners to promote rule of law and prevent malign influence in the Arctic. and marine safety, to this remote region. 3. The Coast Guard’s mission in the Arctic is enduring, but the strategic context has changed. today and of the future. 4. More information and copies of the strategy can be found at: www.uscg.mil/arctic/. 5. POCs: Shannon Jenkins at (202) 372-1564 or Shannon.R.Jenkins@uscg.mil. 6. VADM Daniel B. Abel, Deputy Commandant for Operations, sends. 7. Internet release is authorized. SNAFU has a discussion about what up-gunning Infantry Fighting Vehicles might mean to land warfare and included the graphical information above. The dimensions provided give us some clues about the characteristics of the gun that were not available before. Length of the barrel in calibers (bore diameter) tells us something about the gun. You usually see it written as caliber/length in calibers, e.g. 5″/38 where 5″ is bore diameter and the barrel is 38 time 5″ in length. Length in calibers suggests other characteristics including muzzle velocity, time of flight, flatness of trajectory, accuracy, and penetration ability relative to other weapons of the same caliber. Greater length in calibers usually translates into higher muzzle velocity which imparts a flatter trajectory to a given range, which usually translates into greater accuracy and better penetration ability relative to other weapons of the same caliber. Larger caliber weapons might, and usually do, exceed these characteristics even using relatively shorter length calibers. The Coast Guard uses or has used 5″/38s, 3″/50s, 76mm/62s, 57mm/70s, and 25mm/87s. In each case, greater length in calibers translated to higher muzzle velocities. 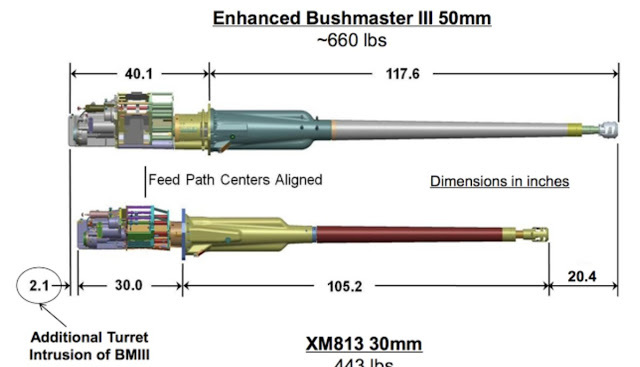 The barrel length for the 50mm indicated in the diagram above, 117.6″, translates to a length of 60 calibers, so we should expect a muzzle velocity similar to that of the 76mm/62 Mk75 (3,000 – 3,024 fps (914 – 925 mps)), perhaps slightly lower. There are not a lot of contemporary weapons of similar characteristics. Perhaps the closest was a Soviet 45mm/78 anti-aircraft gun with a maximum ballistic range (firing at an elevation of 45 degrees) of 12,140 yards (11,100 m). Certainly the 50mm’s performance will exceed that of the Soviet 43mm/46 which had a max ballistic range of 10,060 yards (9,200 m). On a more practical basis this probably means that, while the Army claims an effective range of 4000 meters (probably against another Infantry Fighting Vehicle), even without guided projectiles, it would start scoring hits against larger maritime targets at 7,000 yards, which was the maximum range we used to train 3″/50 crews for, using local control. In any case it would be able to engage from beyond 4000 yards which I believe would be the maximum effective range of any improvised armament available for use on even a terrorist vessel. 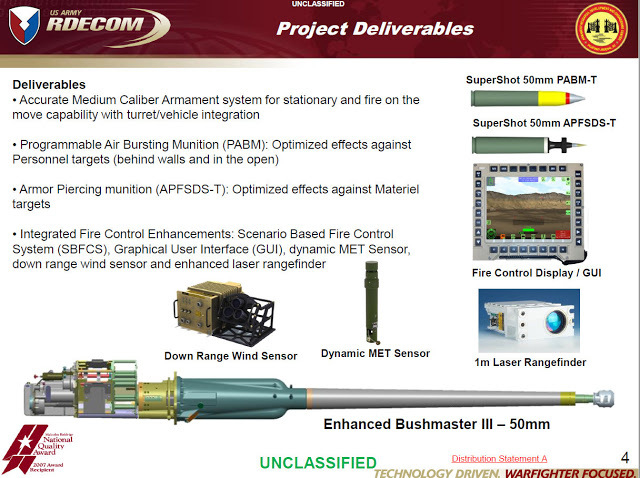 Looking at the two rounds mentioned above, Programable Air Burst Munition-tracer (PABM-T) and Armor Piercing Fin Stabilized Discarding Sabot-tracer (APFSDS-T). The APFSDS-T is probably going to have a better chance of disabling a large marine diesel engine than any weapon we currently have in service. The PABM-T should be effective against personnel in small fast highly maneuverable vessels and the programable feature means misses will detonate before going any great distance beyond the target, minimizing the possibility of collateral damage. It might also be effective against drones. Thanks to Lee for pointing me to this information. 327s--Why Were They So Successful?